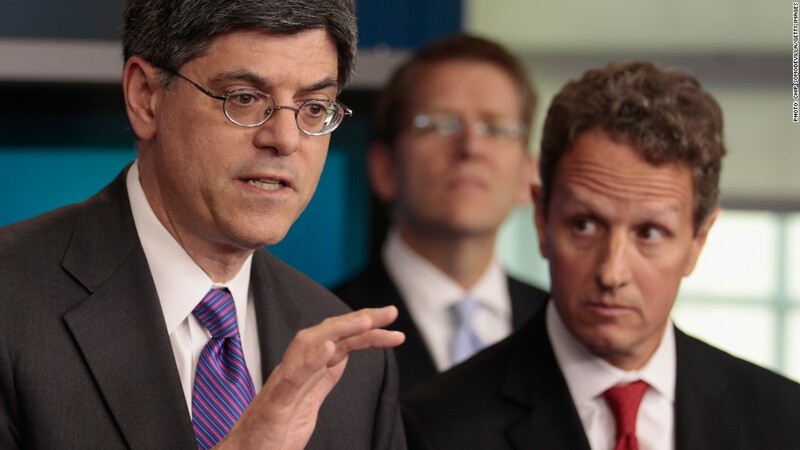 White House chief of staff Jacob "Jack" Lew (seen here with Tim Geithner) is said to be in the short list of contenders for the next Treasury Secretary. However, timing is key. It's long been expected that Treasury Secretary Tim Geithner would stay on long enough in the job to play a key role in the fiscal cliff negotiations. Now that the deal is done, observers say the White House has a small window to name a successor. Geithner is expected to stay on until the end of this month. "Secretary Geithner has previously stated that he plans to be at Treasury until around the inauguration," said a Treasury spokesperson. The White House is in a tough spot over the timing, with another contentious debate over raising the debt ceiling just weeks away and fiscal cliff negotiations only half done. "Since we're going right into the debt ceiling debate, it does complicate matters," said Brian Gardner, a senior vice president and Washington analyst for Keefe, Bruyette & Woods. As part of the fiscal cliff deal, Congress pushed back severe cuts to the federal budget by two months. The budget cuts, which had been scheduled to kick in Jan. 2, are expected to lead to job losses and furloughs for federal employees. The next Treasury secretary would play a role in blunting those cuts. The deal also did nothing to raise the government's borrowing limit, which Congress must increase by late February or early March. The country hit its $16.394 trillion limit on Dec. 31, and Treasury is already moving money around to buy time. But at a certain point, the federal government would be unable to pay all of its obligations on time. The last time a similar debate occurred in the summer of 2011, it turned nasty and the United States lost its AAA credit rating and markets tumbled. Though the White House has been tight-lipped about a nominee, CNN has reported that current White House chief of staff Jacob "Jack" Lew is among the top candidates for the job. Lew had been the director of the Office of Management and Budget for Obama and President Clinton. He was a key negotiator during the 2011 debt ceiling talks. In 2009, the Senate took nearly a month to confirm Geithner as Treasury secretary. 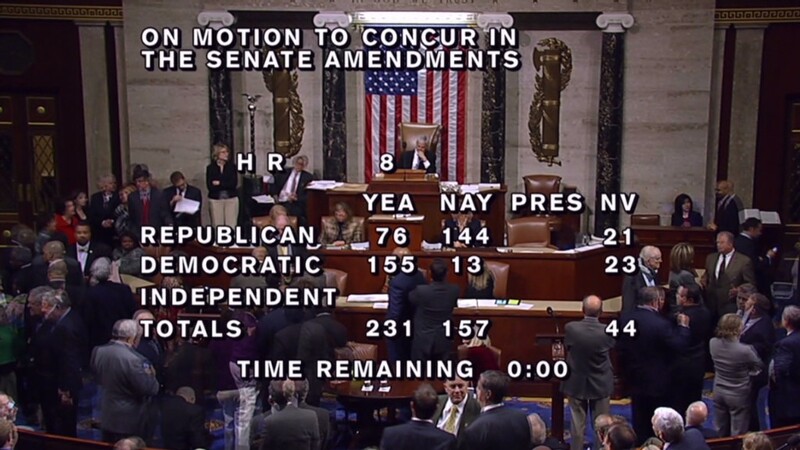 The next one could be contentious, coming right after a bruising fight over the fiscal cliff. "The confirmation process could become a platform to bash the administration on spending and fiscal policy," Gardner said. No matter what, the clock is ticking. There's no doubt that Geithner is ready to leave. His family moved back to New York in the summer of 2011. He's been silent on his exact day of departure, though he is expected to stay on the job until his successor is confirmed. In November, White House spokesman Jay Carney told reporters that Geithner had indicated he planned to stay through the inauguration on Jan. 21 to help lead negotiations into the fiscal cliff.